Yoga is about consciousness. There is a wide variety of techniques to enhance the conscious experience of a person. One out of them is Yoga. Yoga as a practical and theoretical concept evolved from the ancestral pagan believes on the socio-geographical area having its core what is actually India. The significance of the word Yoga comes from the Sanskrit root Yuj which means 'union' between the someone's personal consciousness and the universal consciousness. A multitude of techniques similar to those in Yoga are to be found in other traditions all over the world. People employ Yoga practices at certain stages in their lives. The proper time to start practicing Yoga is the time of a personal individual crisis. The restlessness, lack of satisfaction with life overall are triggers to many questions of how to solve personal problems. Any personal crisis could become the beginning of a personal transformation and a divine chance to be able to evolve, i.e. to enhance the awareness of life experience. By being more conscious about life events people become impartial observers of what and how things happen. A personal transformation is visible gradually. This is expressed by a multitude of changes at personal level. Yoga employs a succession of events to bring success on this spiritual path. The first step, before starting the Yoga practices proper, is the self-analysis, an impartial observation of own person. The observer and the observed has to become the same person. Here, the essential quality necessary to succeed is honesty. Honesty will allow anyone to see with objectivity what is not pleasant about own person, either the face, body form, habits, addictions and many others. Nobody else can be more objective about a person's description but the person him/herself. This being accomplished a resolution of improvement has to be made. The first area of self-improvement is that of the body, which is the cause of many addictions. Addictions like drinking, smoking, meat eating are typical. A lot of mental addictions have as their basic source the body addictions. By identifying and targeting addiction, this aim becomes a great personal battle to remove those body addictions. Yoga as a process of conscious approach to life experience starts with becoming aware about body addictions. Once people are honest enough to admit those weaknesses and decide to do something about them, this is a very good sign and a positive encouragement towards opening new doors on the path of Yoga. The practice of Yoga gradually produces an enhancement of sense perception to have deeper experiences. These kinds of amplification of the awareness of human senses have deep implications at mental level. In Yoga, mind experiences, body experiences and sexual experiences are interconnected, an action upon one will produce consequences on the other two. In Yoga this is known as the interconnection between Manas (mental energy), Prana (body energy) and Virya (sexual energy). The above division allow the Yoga practices to be classified into three areas of actions, either acting on Manas, Prana or Virya. There are Yogic techniques acting on two of the above, even on all three areas. The typical techniques to act on Manas are meditative experiences of various kinds, either employing or not the Mantra (magical formula) practices. Such Mantras are given by a Guru who follow a specific tradition (Sapradaya). Mantras are linked to certain benefits, the concept behind is as being the vibrational form of a Devata (deity). By repetition with Mantras (Mantra Japa), this makes the mind to come closer and closer to the source of the sound which is according to Yoga the source (Bindu) of everything. All the meditation kind of practices imply awareness of the mind when the practitioner is somehow conscious of what is happening. The good signs of success is when awareness is able to be maintained longer and longer. Those typical techniques to act on Prana are physical postures (Asanas) and breath exercises (Pranayama). Those techniques to act on Virya are more related to the Maithuna Tantra concept and practices, implying man-woman sexual interaction. The action of optimisation starts with the body. The well-known physical postures (Asanas) are of four kinds: extension, compression, torsion and neutral as far as the action on the vertebral column is concerned. Certain rules have to be followed when choosing the order and succession of various postures. An Asana of extension will be followed by one of compression and vice versa, an Asana of torsion has to do the twist of the vertebral column both to to left and right sides; a neutral Asana can be inserted between the above complementary pairs. Examples: Sarvangasana (the posture of all limbs) is an Asana of extension that could be followed by Matsyasana (the posture of the fish), which is an Asana of compression. Vakrasana (the posture of the limbs) is practiced on both left and right sides. The multitude of Asanas could be learned from books or qualified Yoga teachers, thus a personal program of Yoga training could be created by anyone having the knowledge of the rules above. 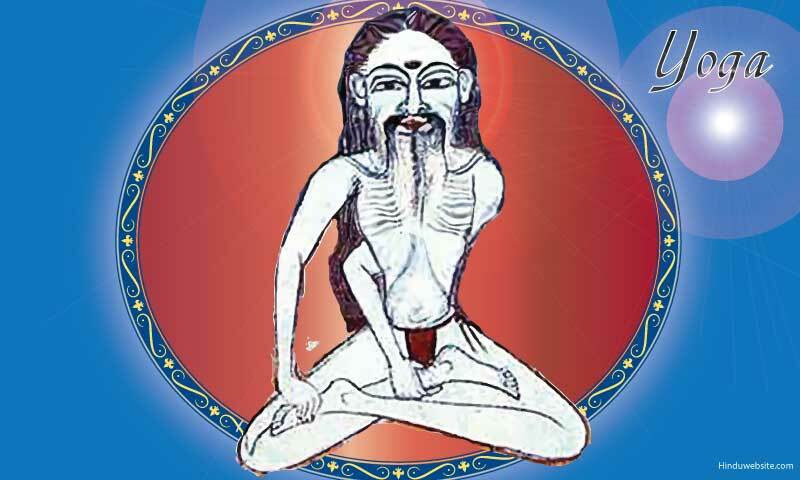 Pranayama (breathing technique) is the next stage following the Asanas practice according to Patanjali (see below). It is important to know that various Pranayama techniques produce certain body and mind effects. Sahita Pranayama for example produces heat into the body. This heat makes digestion better, i.e. will amplify what is called Jatharagni (the fire of digestion). Other Pranayama techniques like Shitali will cool the body, etc. The practice of Pranayama will allow the equilibrium to the body and mind biological systems, so that the practitioner becomes full of vigour almost all the time. Yoga overall is best known from the classical literature as having eight stages. This classification however is just one of the many methods of attaining that union (Yoga). However, another definition of Yoga is to be the disunion between Purusha and Prakriti. Purusha is the pole of consciousness, Prakriti is the pole of matter. When the two poles start to dissociate within the mind of a practitioner the conscious inclination towards the Purusha side makes somebody's mind to gradually become one with Purusha and unite with that all pervading consciousness. Basically all Yoga practices have as final objective to produce the disunion between Purusha and Prakriti within the mind of a Yoga aspirant. Many other techniques related to various kinds of Yoga like Karma Yoga, Bhakti Yoga, Laya Yoga, Hatha Yoga, Raja Yoga, Jnana Yoga, Kundalini Yoga, Swara Yoga, Nada Yoga, Mantra Yoga, Tantra Yoga, etc., are being accessible for practice in tune with the personal inclinations of someone who takes the results coming form specific kinds of Yoga as personal goals, like efficiency of action for Karma Yoga, divine devotion for Bhakti Yoga, etc. However the accomplishment of Yoga, as union with the divine or disunion between Purusha and Prakriti, no matter by which method has some commonalities. The culmination of practices is the conscious explosion of the mind. This is due to various Yoga techniques producing a gradual purification of body and mind. The ascending of consciousness is seen by Yoga as the step by step rise towards Lokas (planes of awareness). The entire Chakra system (of Tantric origin) is in fact a gradual ascendancy of consciousness as perception experience. A practitioner has to overcome the five fires (Panchagni) i.e. greed (Lobha) in Muladhara Chakra, desire (Kama) in Shvadhishthana Chakra, anger (Krodha) in Manipura Chakra, attachment (Raga) in Anahata Chakra, pride (Mada) in Vishuddha Chakra. It is only after these steps that consciousness rises to Ajna Chakra. By attaining this spiritual point, a practitioner is much closer to the goal. Stepping further, the mind explodes in awareness in Sahasrara Chakra i.e. there is a state of conscious experience which the mind cannot handle peacefully. At this point of tumultuous mental experience practitioner's Guru has to be closer and help the aspirant to overcome this tremendous experience. Yoga asserts that without Guru's help is very unusual somebody to be able to handle the awakening. This experience of explosion of the mind is equivalent with Kundalini Shakti awakening. Kundalini who is Shakti as energy of creation within the human body has come up the Sushumna Nadi to meet Shiva. Their unity is in fact the mind of the practitioner united with the universal consciousness. After the successful awakening the Yogi becomes a Siddha, a Jivanmukta, a living liberated soul, in modern terminology a Homo Noeticus, Homo Tantrika, Homo Universalis, a new kind of human being surpassing in ability most of the other human beings. It will not be daring to foresee a new king of humanity arising from the process of gradual evolution based on Yoga.